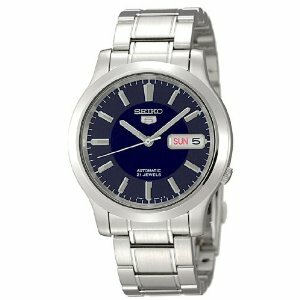 Seiko 5 Men's stainless steel automatic callback Azul is an elegant easy to use automatic movement. Bold line, blue, silver hands and index interior accented with light, this clock is a modern day three. Song minutes while maintaining an accurate and polished stainless steel frame is easy to move the case to the rule. From the buffer zone, a unique exhibition in two colors, elegant, functional and elegant Clock. Stainless steel bracelet-related resources quickly and securely locked and this Seiko Clock is water resistant to 330 feet (100 meters). anywho - i was looking for another watch - something i didn't have to replace batteries for (actually i ended up buying 2 watches from amazon - the seiko and a casio g-shock watch) and decided against solar, kinetic, eco-drive watches. they have an internal rechargeable battery which as anyone knows rechargeable batteries at some point would no longer hold a charge. so i was looking for another automatic - i thought about getting another invicta but decided against it - invicta didn't make their own movements - so i was perusing amazon.com and came upon this Seiko - Seiko makes their own movements - albeit cheap movements not unlike the invicta miyota movement- so i thought they would have better QC if their name was on it and Seiko make fine quality watches and instruments. The movement on this watch is the 7s26b 21 jewels non-hacking (cannot stop the seconds hand when the crown is pulled) - there are a few discussion sites concerning this movement - its predecessor was teh 7s26a... the replacement is purportedly more accurate. the miyota movement in the invicta actually gained like 5 minutes every week. the watch itself i thought was simple yet elegant. can be worn on casual or formal i think. The blue face makes it all the more attractive. the face is smaller than what i'm used to with the invicta dive watch - that was 40mm.. this one is around 38mm. it displays the day and date... the day comes in spanish too. depending on what you want it to read... it can be a little tricky setting it to how you want it to read but i had no trouble setting it to english. what happens is it will inevitably go to spanish in the wee hours (when you are probably asleep anyway) and quickly switch back to english of the NEXT day. you'll have to fiddle with the time to see when exactly it changes the day so you can set the dominant language you want to see the day on. when it arrived i was very happy with the watches appearance. it came in a light blue handsome box - inside the watch had protective plastic around the center links. the Seiko tag was there - turn the back and you can see the heart of the watch - it is a see-through skeletonized back where you can see the movement and the heartbeat. what makes the watch automatic is the rotor - your wearing the watch and your bodily movement moves the rotor which winds the watch. the watch is also "resting" on a pillow and on the bottom instructions. The crystal is Seiko's "Hardlex" - not mineral not sapphire but their own proprietary(?) Harlex crystal. while the watch is on the small size from a dive watch - seiko certainly put enuff links on their for the big man! i have a small wrist so i had to take off 5 links all together. these links confused me a bit because it is not the usual pins... but these links were actually easier to take out than the usual pins. there are holes in which (i used a bulletin board push pin) if you push it at an angle you can push the pins out and using a needle nose plier quickly take out the pins and links. i have had this watch for two days and it seems to be keeping time pretty well with the casio - i will compare it for a week to see how well this goes up against a battery driven quartz movement. so far i'm satisfied with this watch - this was sold on the amazon site by an affiliate - K.G. Company that does not have it's own website - but it had good store reviews so i went with it. Although i think the marketing people at K.G. 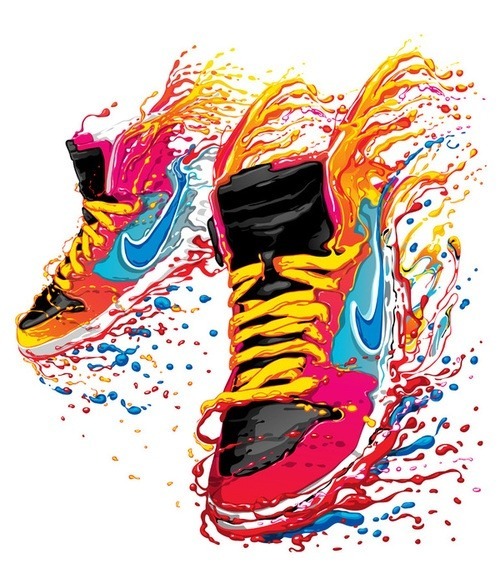 or amazon thought of a "call to action" device by declaring the "limited" quantities they had - "only 2 in stock -- order soon" -meanwhile i'm sure they had plenty -just to create some sense of urgency on the customers part. I also did see this watch at different pricing with the same affiliate company. $83.99 and at $99.00 - so maybe they are wanting to see which pricing makes a difference or perhaps no difference at all. so if you're looking for basically a simple watch which tells time accurately (so far) and with the day (in english and spanish)and date display at a good price - this watch is what you're looking for.